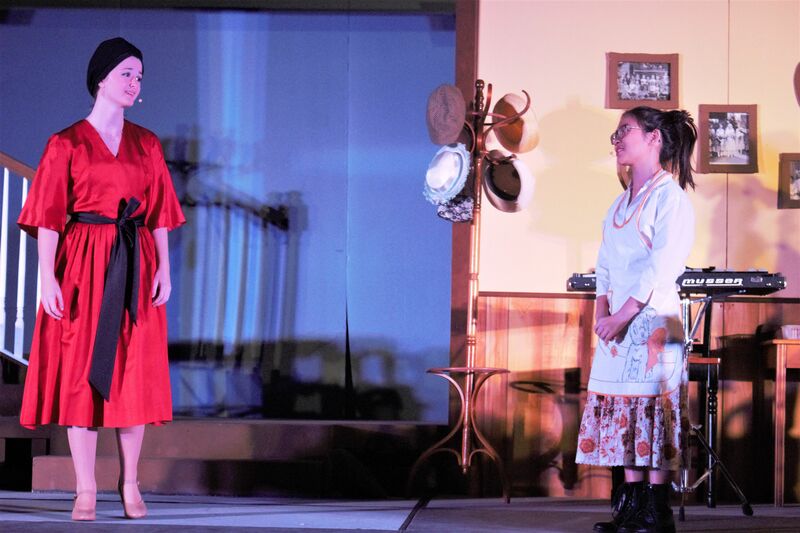 The Savio Fall Play is a Huge Success! 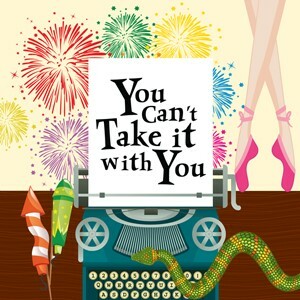 The Savio Fine Arts Department presented You Can’t Take it With You just before fall break on November 17 and 18. 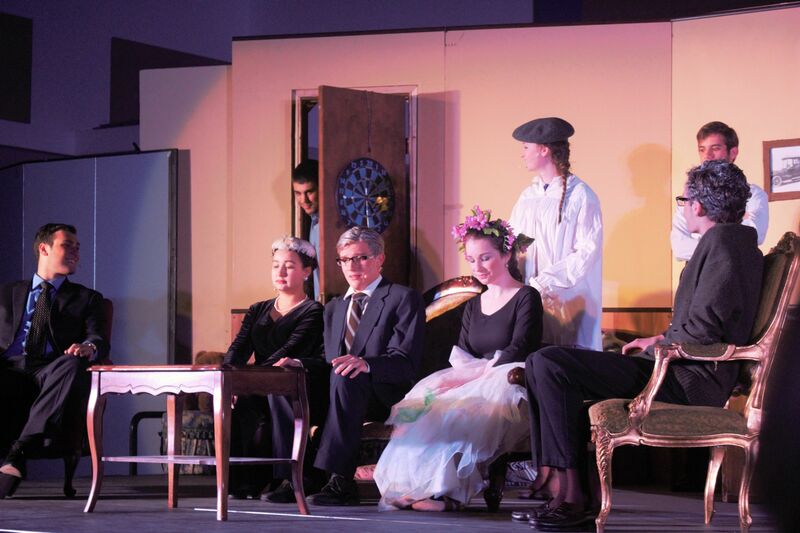 The students began rehearsals in August to prepare to entertain the crowd for two well-attended performances. All the students involved, including the actors and the technical crews, did an outstanding job. We collected nearly 550 canned goods at admission, to benefit Grace Ministries of Austin, an organization that provides healthy meals for the poor and vulnerable. Please join us for our Spring musical in May, Godspell. Thank you to all who attended this show with donations and supported our talented students! The Savio Boys Soccer team handed Hill Country Christian their first regular season loss in more than two years with a hard fought 1-0 victory Monday night. Hill Country Christian was the Division 3 TAPPS Boys Soccer State Runner-Up the last two years. Midway through the first half Cian McGetrick drilled a shot into the corner of the goal off a pass from Santiago Sustaeta for the winning goal. Goalie Cory Cady and the Savio defense played well preserving the shutout. The next game is Thursday at 7pm at St. Stephen's. While Gabby Fuentes was in high school at St. Dominic Savio, she spent some time working with a nonprofit organization that peaked her interest to pursue a career in social work. During her orientation weekend three years ago at The Catholic University of America, Fuentes had an opportunity to meet William Rainford, the dean of the National Catholic School of Social Service (NCSSS). When she was a first-year student in the Bachelor of Social Work (BSW) program, Fuentes was quickly introduced to the Assistant Professor Eileen Dombo, who was chair of the BSW program at the time. Fuentes is currently a junior in the program, and has exceeded Professor Dombo’s expectations. Fuentes is now serving others through research and responsibility. Read more about what Gabby Fuentes is working on and her exemplary, servant leadership at The Catholic University of America HERE. 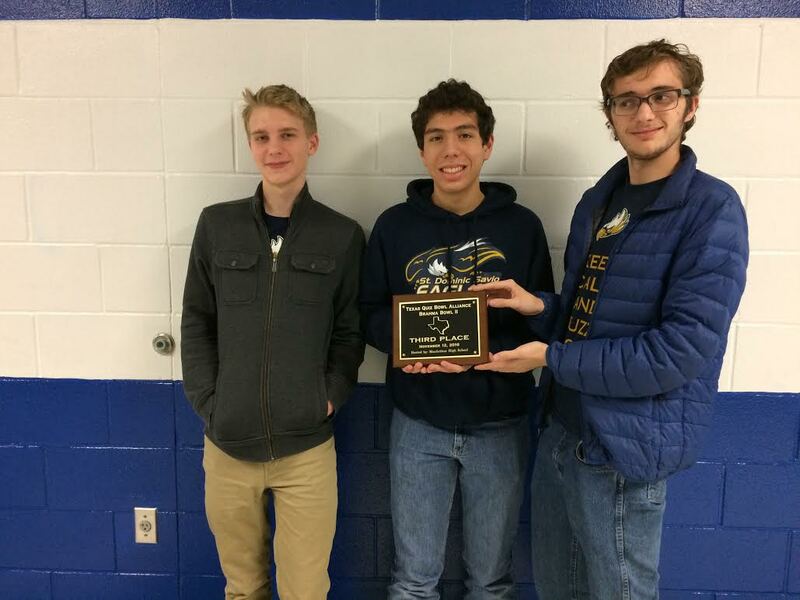 On Saturday, November 12th, Savio seniors Eleazar Camez, Jack Frey and Daniel Jilek traveled to San Antonio MacArthur High School to compete in the Brahama Bowl Quiz Bowl Tournament. A total of 19 teams from Austin, San Antonio and the surrounding area competed in the tournament. Depsite having only three players on the roster, the Eagles dominated the preliminary rounds. They went 6-0, winning by an average score of 356 to 92. Their only close match in the prelims was a 290-235 win over rival San Antonio Reagan "A". The perfect record gave the Eagles the number one seed for the afternoon playoffs, including a first round bye. In the quarter-finals the Eagles quickly dispatched the "A" team from Keystone High School by a score of 275-170. But the semi-finals spelled doom for the Savio team. Their other San Antonio nemisis, Brandeis "A", proved too tough, eliminating the Eagles 305-165. Daniel led the scoring for the Eagles with 81.88 points per game (15 powers and 6 NEG5's). Daniel was also the the number two scorer in the entire tournament. The seven wins in this tournament have moved the Eagles up to #11 in the Texas Quiz Bowl 2016 Race for the Cup standings. The third place finish was high enough to qualify the Savio team for the High School National Championship tournament in Atlanta on the weekend of May 26th. Additionally, due to a recent rule change, the Eagle team is eligible to compete in the Small School National Championship Tournament in Chicago on the weekend of April 29th. The next tournament for the Savio Quiz Bowlers will be the Houston Holiday Hoedown, aka the "Ho Ho Ho", on December 3rd at Seven Lakes High School in Katy. The Savio Boys Soccer team opened their season with a solid 5-1 win over New Braunfels John Paul II High School on Tuesday. Passes from Cian McGetrick setup the first two goals midway through the first half, the first led to a breakaway by Nathan French who opened the scoring, then a few minutes later to a goal by Brendan Mazzurana. After giving up a goal late in the first half, Santi Sustaeta scored off a pass from Preston Noonan, and in the second half two goals off corner kicks by Chris Reeves, the first scored by Patrick Miles and the second by Preston Noonan put the game away. Chris Reeves and Cameron Henry anchored a solid Savio defense. The girls team also won a solid 3-0 victory earlier in the evening. Savio boys host their next game Monday November 28th at 5pm at the Town and Country soccer complex. Enjoy this video that was created by Savio students in celebration of Thanksgiving day. Savio students and teachers of St. Dominic Savio are featured and are asked to share what they are thankful for. Thank you for watching and have a Happy Thanksgiving! Today on Veteran’s Day, we take a moment to thank and pray for all those who have given their lives, away from their families, to defend our freedoms. We are grateful and thank our Lord for the gift of all the men and women that have served and are continuing to serve our country. Spirit 105.9 is running a radio advertisement today to commemorate Veteran’s Day. The ad highlights Savio and Holy Family students, through the partnership of the Diocese of Austin. And all of them deserved our pride. We thank ALL veteran’s just the same. Please listen to the ad on YouTube from Spirit 105.9. We thank the Savio Filmworks Team for editing photos of Holy Family and St. Dominic Savio Students with the Poem.